…that this life is not all of our experience; that beyond the bounds of time swells the infinite, the eternal life. You are gathering there multitudes which no man can number. From every age you have garnered there; the spirits of the just made perfect dwell with you, for you have set the streams of time. For us there is this hope and this joyful anticipation. We rejoice that the burdens which we bear, and the sorrows, the troubles, and the vexations of life which we experience day by day, are things to be forgotten; that they are but the dust of the way. Though at the time they fill the soul, and absorb the thought, yet we rejoice that they are trifles, and are not worthy to be mentioned in comparison with the exceeding and eternal weight of glory which is reserved for those who love and fear you. And we beseech of you that we may be able to live this life in the body with a constant faith of the great life of the spirit; that we may never be discouraged nor beaten down; that we may know that we are the King’s sons and daughters. Though exiled, and in disguise, and in poverty, and even cast into shame, may we remember our birthright, the Treasure that awaits us, the crown, the throne, the scepter, the glory of immortal and perpetual youth, where you are. When the former things shall have passed away, when sorrow and dying shall have fled, when you shalt have wiped the tear from every eye, and when you do comfort us even as a father comforts his child, then, in that blessed land where you dwell, what will be the memory of the troubles which we have had upon earth! Grant that now we may be made brave by the anticipation of these things through faith. May we carry our trouble, our load, whatever it may be, patiently, strengthened by you, and rejoicing in you. May we seek every day more and more thy favor. May our life be hid in thine. May our purposes be, not those which roll along the dusty road of time, but those which take hold on immortality and glory. As the years go by, and as the signs and tokens of departure come to us, may we be more earnest for the things that do not perish, and less and less held by the things that do. Help us in all things to be steadfast, immovable, always abounding in the work of the Lord. Though others reel to and fro, may we stand in thy strength. Though others are confused and perplexed, may we abide in peace beneath the shadow of thy wings. Though others are bereaved and in great sorrows, may we hear you saying to us, No affliction is for the present joyous but grievous, yet afterward it shall work the peaceable fruit of righteousness unto them that are exercised thereby. Grant unto us, in these declining hours of the year, such suitable meditations as shall make us better fitted for the year that is advancing to us. May we seek more earnestly the things that are high, and worthy of us, and less and less the things that perish in the using. And may thy word give us instruction. May it be the man of our counsel and our guide. We pray that its wisdom and experience may become our wisdom and experience, and that in it we may abide as in a fortress. Grant, 0 Lord, thy blessing upon all those whose pilgrimage is beginning, who are essaying their first steps in the higher life. Deliver them from every enemy that threatens them from without; from the enemies that are within their own hearts; from the evils by which they are surrounded; from specious reasonings of every kind; from deceitful temptations; from all guile that would spoil their simplicity. Deliver them from everything that tends to destroy the nobility of Christian adulthood. May they prove all things, and hold fast the things that are good, living better than we have lived before them, with more aspiration and with more attainments. May thy blessing rest upon the year that is past. Grant that the seed which has been sown by thy servants in this church may not perish. Though the winter storms beat upon it may it come forth in the spring and bear fruit a hundredfold. We pray that the fruits which have been gathered may be but first-fruits; and may we see from month to month throughout the coming year the blessing of the Lord resting upon the labors of days gone by. Will you bless all those who are teachers; all those who are ministers of mercy and consolation to the afflicted; all those everywhere who are building up waste places. Revive thy work in thy churches. Grant, we pray you, that with the expiring year faults may expire, on the right hand and on the left; and in the coming year may there be a new record of righteousness. More and more may the power of God be manifest in the affairs of men. May thy kingdom come, and may thy will be done, upon earth as it is done in heaven. We ask it in the name of Jesus, our master, to whom, with the Father and the Spirit, shall be everlasting praises. From Darkness into Light: Or, how God used the Giant “Despair” to shape the Life of John Bunyan. Part One of Two. was born at Elstow, about a mile from Bedford, in the year 1628. He may be said to have been born a tinker. The tinkers then formed a hereditary caste, which was held in no high estimation. They were generally vagrants and pilferers and were often confounded with the gypsies, whom, in truth, they nearly resembled. Bunyan’s father was more respectable than most of the tribe. He had a fixed residence, and was able to send his son to a village school, where reading and writing were taught. The years of John’s boyhood were those during which the Puritan spirit was in the highest vigor all over England; and nowhere had that spirit more influence than in Bedfordshire. It is not wonderful, therefore, that a lad to whom nature had given a powerful imagination, and sensibility which amounted to a disease, should have been early haunted by religious terrors. Before he was ten, his sports were interrupted by fits of remorse and despair; and his sleep was disturbed by dreams of fiends trying to fly away with him. As he grew older, his mental conflicts became still more violent. The strong language in which he described them has strangely misled all his biographers except Mr. Southey. 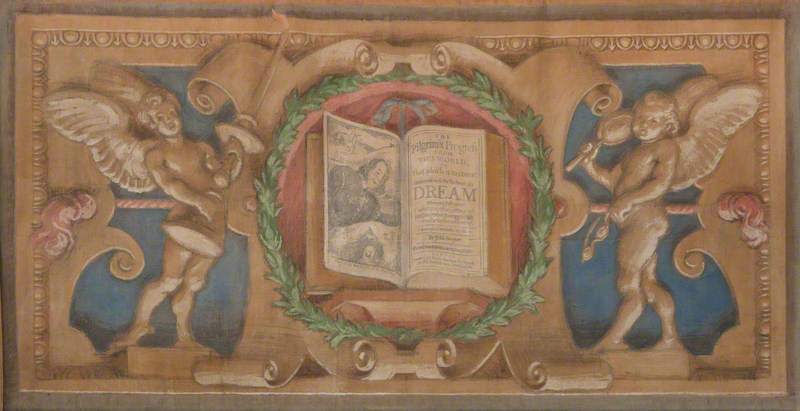 It has long been an ordinary practice with pious writers to cite Bunyan as an instance of the supernatural power of divine grace to rescue the human soul from the lowest depths of wickedness. He is called in one book the most notorious of profligates; in another, the brand plucked from the burning. He is designated in Mr. Ivimey’s” History of the Baptists” as the depraved Bunyan, the wicked tinker of Elstow. Mr. Ryland, a man once of great note among the Dissenters, breaks out into the following rhapsody: “No man of common sense and common integrity can deny that Bunyan was a practical atheist, a worthless, contemptible infidel, a vile rebel to God and goodness, a common profligate, a soul-despising, soul-murdering, soul-damning, thoughtless wretch as could exist on the face of the earth. Now, be astonished, O heavens, to eternity! And wonder, O earth and hell, while time endures! Behold this very man become a miracle of mercy, a mirror of wisdom, goodness, holiness, truth, and love.” But whoever takes the trouble to examine the evidence, will find that the good men who wrote this had been deceived by a phraseology which, as they had been hearing it and using it all their lives, they ought to have understood better. There cannot be a greater mistake than to infer, from the strong expressions in which a devout man bemoans his exceeding sinfulness that he has led a worse life than his neighbors. Many excellent persons, whose moral character from boyhood to old age has been free from any stain discernible to their fellow-creatures, have, in their autobiographies and diaries, applied to themselves, and doubtless with sincerity, epithets as severe as could be applied to Titus Gates or Mrs. Brownrigg. It is quite certain that Bunyan was, at eighteen, what, in any but the most austerely Puritan circles, would have been considered as a young man of singular gravity and innocence. Indeed, it may be remarked that he, like many other penitents who, in general terms, acknowledged themselves to have been the worst of mankind, fired up and stood vigorously on his defense whenever any particular charge was brought against him by others. He declares, it is true, that he had let loose the reins on the neck of his lusts, that he had delighted in all transgressions against the divine law, and that he had been the ringleader of the youth of Elstow in all manner of vice. But, when those who wished him ill accused him of licentious amours, he called on God and the angels to attest his purity. No woman, he said, in heaven, earth, or hell could charge him with having ever made any improper advances to her. Not only had he been strictly faithful to his wife, but he had, even before marriage, been perfectly spotless. It does not appear from his own confessions, or from the railings of his enemies, that he ever was drunk in his life. One bad habit he contracted, that of using profane language; but he tells us that a single reproof cured him so effectually that he never offended again. The worst that can be laid to the charge of this poor youth, whom it has been the fashion to represent as the most desperate of reprobates, as a village Rochester, is that he had a great liking for some diversions, quite harmless in themselves, but condemned by the rigid precisians among whom he lived, and for whose opinion he had a great respect. The four chief sins of which he was guilty were dancing, ringing the bells of the parish church, playing at tip-cat, and reading the “History of Sir Bevis of Southampton.” A rector of the school of Laud would have held such a young man up to the whole parish as a model. But Bunyan’s notions of good and evil had been learned in a very different school; and he was made miserable by the conflict between his tastes and his scruples. When he was about seventeen, the ordinary course of his life was interrupted by an event which gave a lasting color to his thoughts. He enlisted in the Parliamentary army, and served during the decisive campaign of 1645. All that we know of his military career is that, at the siege of Leicester, one of his comrades, who had taken his post, was killed by a shot from the town. Bunyan ever after considered himself as having been saved from death by the special interference of Providence. It may be observed that his imagination was strongly impressed by the glimpse which he had caught of the pomp of war. To the last he loved to draw his illustrations of sacred things from camps and fortresses, from guns, drums, trumpets, flags of truce, and regiments arrayed, each under its own banner. His Greatheart, his Captain Boanerges, and his Captain Credence are evidently portraits, of which the originals were among those martial saints who fought and expounded in Fairfax’s army. In a few months Bunyan returned home and married. His wife had some pious relations, and brought him as her only portion some pious books. And now his mind, excitable by nature, very imperfectly disciplined by education, and exposed, without any protection, to the infectious virulence of the enthusiasm which was then epidemic in England, began to be fearfully disordered. In outward things he soon became a strict Pharisee. He was constant in attendance at prayers and sermons. His favorite amusements were, one after another, relinquished, though not without many painful struggles. In the middle of a game at tip-cat he paused, and stood staring wildly upward with his stick in his hand. He had heard a voice asking him whether he would leave his sins and go to heaven, or keep his sins and go to hell; and he had seen an awful countenance frowning on him from the sky. The odious vice of bell-ringing he renounced; but he still for a time ventured to go to the church-tower and look on while others pulled the ropes. But soon the thought struck him that, if he persisted in such wickedness, the steeple would fall on his head; and he fled in terror from the accursed place. To give up dancing on the village green was still harder; and some months elapsed before he had the fortitude to part with this darling sin. When this last sacrifice had been made, he was, even when tried by the maxims of that austere time, faultless. All Elstow talked of him as an eminently pious youth. But his own mind was more unquiet than ever. Having nothing more to do in the way of visible reformation, yet finding in religion no pleasures to supply the place of the juvenile amusements which he had relinquished, he began to apprehend that he lay under some special malediction; and he was tormented by a succession of fantasies which seemed likely to drive him to suicide or to Bedlam. At one time he took it into his head that all persons of Israelite blood would be saved, and tried to make out that he partook of that blood; but his hopes were speedily destroyed by his father, who seems to have had no ambition to be regarded as a Jew. At another time, Bunyan was disturbed by a strange dilemma: “If I have not faith, I am lost; if I have faith, I can work miracles.” He was tempted to cry to the puddles between Elstow and Bedford, “Be ye dry,” and to stake his eternal hopes on the event. 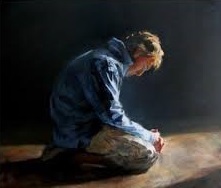 Then he took up a notion that the day of grace for Bedford and the neighboring villages was passed; that all who were to be saved in that part of England were already converted; and that he had begun to pray and strive some months too late. Then he was harassed by doubts whether the Turks were not in the right, and the Christians in the wrong. Then he was troubled by a maniacal impulse which prompted him to pray to the trees, to a broomstick, to the parish bull. As yet, however, he was only entering the Valley of the Shadow of Death. Soon the darkness grew thicker. Hideous forms floated before him. Sounds of cursing and wailing were in his ears. His way ran through stench and fire, close to the mouth of the bottomless pit. He began to be haunted by a strange curiosity about the unpardonable sin, and by a morbid longing to commit it. He has described his sufferings with singular energy, simplicity, and pathos. He envied the brutes; he envied the very stones in the street, and the tiles on the houses. The sun seemed to withhold its light and warmth from him. His body, though cast in a sturdy mold, and though still in the highest vigor of youth, trembled whole days together with the fear of death and judgment. He fancied that this trembling was the sign set on the worst reprobates, the sign which God had put on Cain. The unhappy man’s emotion destroyed his power of digestion. He had such pains that he expected to burst asunder like Judas, whom he regarded as his prototype. At length the clouds broke; the light became clearer and clearer, and the enthusiast, who had imagined that he was branded with the mark of the first murderer, and destined to the end of the arch-traitor, enjoyed peace and a cheerful confidence in the mercy of God. Years elapsed, however, before his nerves, which had been so perilously over-strained, recovered their tone. When he had joined a Baptist Society at Bedford, and was for the first time admitted to partake of the Eucharist, it was with difficulty that he could refrain from imprecating destruction on his brethren while the cup was passing from hand to hand. After he had been some time a member of the congregation he began to preach; and his sermons produced a powerful effect. He was, indeed, illiterate; but he spoke to illiterate men. The severe training through which he had passed had given him such an experimental knowledge of all the modes of religious melancholy as he could never have gathered from books; and his vigorous genius, animated by a fervent spirit of devotion, enabled him not only to exercise a great influence over the vulgar, but even to extort the half-contemptuous admiration of scholars. Yet it was long before he ceased to be tormented by an impulse which urged him to utter words of horrible impiety in the pulpit. Written by, Nathaniel Hardy (1618–1670), an English churchman. …while golden and silver vessels are locked up safely, and only used for the entertainment of special guests: Earthen vessels stand in open places; are used by every servant, nay many times are trampled under foot; so it is with the preachers of the Gospel, they are vile, abjecti homminum estimatione, base and despised in the eyes of wicked men. Our blessed Savior speaking to his Disciples, calls them a little flock; though they were to be Shepherds of the people, yet they were a flock in respect to Christ. But why a little flock? Surely, not in respect to quantity but quality. A flock great indeed in Christ’s eyes but little in men’s eyes. Chosen vessels they are by God, but rejected by the world; and to use the prophet Jeremiah’s expression, “Vessels wherein there is no pleasure.” Jer. 22:11. Do you not know that ministers are as a gazing stock to the people? –Surely this may be affirmed of ministers. The prophet Isaiah uses an expression not too much unlike this concerning himself, which the children of God gave him, that “they were for signs and wonders in Israel.” Nor did Elijah, Elisha, Micaiah, Jeremiah and the other Prophets fare any better than he, in the places where they prophesied, but were mocked, misused and despised by the sons of Belial among whom they lived. What entertainment did the Apostles find? –Let St. Paul speak, “We are made as the filth of the world, and are the offscouring of all things to this day.” Indeed we may remember those Halcyon days when both wealth and honor attended those who serve at the Altar, and the Clergy (as they ought to be) were accounted worthy of, and accordingly received double honor. But at this day, how sad doth experience verify, that the priests are made the lowest of the people! The complaint of the church must now be taken up, “They regard not the person of the priests.” –Lam. 4:16. Yea, as if some new Cadmus had sown the earth with Saul’s teeth, and Shimei’s tongue, they belch out continual insults against God’s ministers. Many of these ministers, these vessels; most accomplished in his sacred service, are laid aside as useless, and rejected as worthless. Nay, it is to that height of impiety that many are come, that not only our persons are despicable, but our very function is contemptible in their eyes. Oh that such would consider how near they strike at God himself. 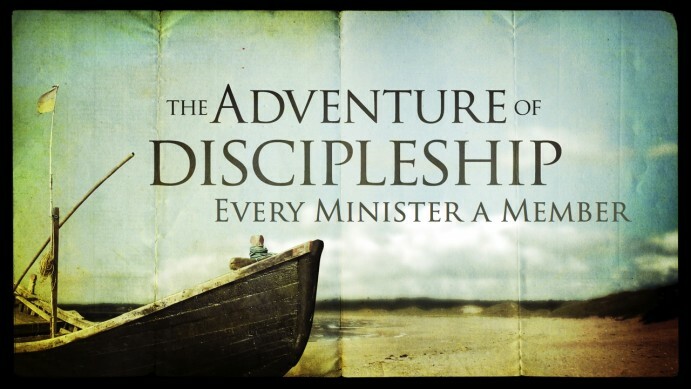 Observe Paul’s heroic expressions, such as may well befit a minister of the Gospel. “We are troubled on every side, yet not distressed; we are perplexed, but not in despair; Persecuted, but not forsaken; cast down, but not destroyed; Always bearing about in the body the dying of the Lord Jesus, that the life also of Jesus might be made manifest in our body. For we which live are always delivered unto death for Jesus’ sake, that the life also of Jesus might be made manifest in our mortal flesh.” — 2 Corinthians 4:8-11. Though our persons are as earthen vessels in the world’s estimation, and so used or rather abused, yet let not our spirits like earthen vessels be broken by any affliction, nay, rather remember what Christ said to his disciples in the same situation, “Rejoice and be glad, for your reward in heaven is great; for in the same way they persecuted the prophets who were before you.” You are come in their stead, and therefore must expect their usage, and it is a comfort you do but pledge them in that cup of which they have drunk to you before, you do but follow them in that way, which they have tracked already, so persecuted they the Prophets, yea and the Apostles too, in which regard they are here called earthen vessels. “Total Depravity” makes us rely completely on the LORD for any hope. …that the elderly pastor in our small town was taking his usual walk after spending the day in study. The good man was pressing with softly trembling steps the sods which covered many of his beloved parishioners, when he came to the spot where lay his wife and three beautiful daughters, whose loveliness, like the opening rose, was blasted ere it was fully exhibited. The pastor leaned on his cane and bent over the graves, and was just marking out by their side, the spot where he hoped to lie in peace, when he was startled by the sounds of sobbing of a child. He turned, and at a distance, beheld a lovely little white-headed boy who was kneeling and sobbing over the freshly dug grave of his father. The feeling pastor pressed the hand of the sorrowing child within his; and ere he could answer him, the old man had wet the silken hair of the orphan with his tears. The pastor’s first object was to soothe the young child into his confidence, and then direct him to the Father who would never forsake him. With patience he satisfied the young boy’s curiosity respecting death—how it was a long sleep, but that the voice of God would one day awaken even the dead, including his father. He told him how death was introduced into this world, and made him understand that it was the consequence of sin. He next strove deeply to impress upon the young lad, what is “the chief end of man;” and thus concluded while his little hearer hung upon his every word. The good minister wept; for he knew of the child’s wish respecting property, would be fully satisfied. He led the orphan to his place of residence—soothed his grief—assuaged his sorrows, and eventually made him his child. It should be a matter of consolation to dying parents that there is One who hears even the “young ravens when they cry,” and provides for the fatherless. The love of God is the cause of the atonement. But why did the love of God take this way of realizing its end? This is the question of the reason as distinguished from the cause. Notable theologians in the history of the church have taken the position that there was no absolute reason, that God could have saved men by other means than by the blood-shedding of His own Son, that, since God is omnipotent and sovereign, other ways of forgiving sin were available to Him. But God was pleased to adopt this method because the greatest number of advantages and blessings accrued from it. God could have redeemed men without the shedding of blood, but He freely chose not to and thereby He magnifies the glory of His grace and enhances the precise character of the salvation bestowed (e.g., Augustine, Aquinas, Thomas Goodwin, John Ball, Thomas Blake). It might appear that this view does honor to the omnipotence, sovereignty, and grace of God and, also, that to posit more would be presumptuous on our part and beyond the warrant of Scripture. Is it not the limit of our thought to say that “without the shedding of blood” (Hebrews 9:22) there is actually no remission and be satisfied with that datum? There are, however, certain things God cannot do. “He cannot deny himself” (2 Timothy 2:13) and it is “impossible for God to lie” (Hebrews 6:18). The only question is: are there exigencies arising from the character and perfections of God which make it intrinsically necessary that redemption should be accomplished by the sacrifice of the Son of God? It should be understood that it was not necessary for God to redeem men. The purpose to redeem is of the free and sovereign exercise of His love. But having purposed to redeem, was the only alternative the blood-shedding of His own Son as the way of securing that redemption? There appear to be good reasons for an affirmative answer. Salvation requires not only the forgiveness of sin but also justification. And justification, adequate to the situation in which lost mankind is, demands a righteousness such as belongs to no other than the incarnate Son of God, a righteousness undefiled and undefilable, a righteousness with divine property and quality (cf. Romans 1:17; 3:21-22; 10:3; 2 Corinthians 5:21; Phi 3:9). It is the righteousness of the obedience of Christ (Romans 5:19). But only the Son of God incarnate, fulfilling to the full extent the commitments of the Father’s will, could have provided such a righteousness. A concept of salvation bereft of the justification which this righteousness imparts is an abstraction of which Scripture knows nothing. Sin is the contradiction of God and He must react against it with holy wrath. Wherever sin is, the wrath of God rests upon it (cf. Romans 1:18). Otherwise God would be denying Himself, particularly His holiness, justice, and truth. But wrath must be removed if we are to enjoy the favor of God which salvation implies. And the only provision for the removal of wrath is propitiation. This is surely the import of Romans 3:25-26, that God set forth Christ a propitiation to declare His righteousness, that He might be just and the justifier of the ungodly. The Cross of Christ is the supreme demonstration of the love of God (cf. Romans 5:8; 1 John 4:9-10). But would it be a supreme demonstration of love if the end secured by it could have been achieved without it? Would it be love to secure the end by such expenditure as the agony of Gethsemane and the abandonment of Calvary for God’s own well-beloved and only-begotten Son if the result could have been attained by less costly means? In that event would it not have been love without wisdom? 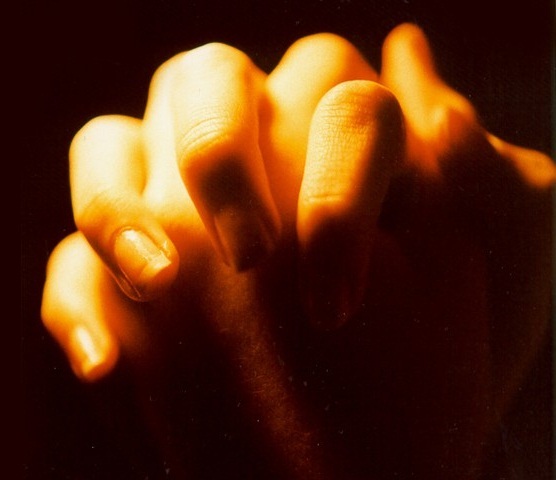 In this we cannot suppress the significance of our Lord ’s Prayer in Gethsemane (Mathew 26:39). If it had been possible for the cup to pass from him, his prayer would surely have been answered. It is when the indispensable exigencies fulfilled by Jesus’ suffering unto death are properly assessed that we can see the marvel of God’s love in the ordeal of Calvary. So great was the Father’s love to lost men that He decreed their redemption even though the cost was naught less than the accursed tree. When Calvary is viewed in this light, then the love manifested not only takes on meaning but fills us with adoring amazement. Truly this is love. Those who think that in pursuance of God’s saving purpose the Cross was not intrinsically necessary are, in reality, not dealing with the hypothetical necessity of the atonement but with a hypothetical salvation. For, on their own admission, they are not saying that the actual salvation designed and bestowed could have been enjoyed without Christ but only salvation of lesser character and glory. But of such salvation the Scripture knows nothing, and no good purpose can be served by an imaginary hypothesis. Obedience: The capacity in which Christ discharges all phases of his atoning work. Obedience does not define for us the specific character of the other categories but it does point us to the capacity in which Christ discharges all phases of his atoning work. No passage in Scripture provides more instruction on our topic than Isaiah 52:13-53:12. It is in the capacity of a Servant that the person in view is introduced and it is in the same capacity He executes His expiatory function (Isaiah 52:13, 15; 53:11). The title “Servant” derives its meaning from the fact that He is the Lord’s Servant, not the Servant of men (cf. Isaiah 42:1, 19; 52:13). He is the Father’s Servant and this implies subjection to and fulfillment of the Father’s will. Servant defines His commitment, and obedience to the execution. Psalm 40:7-8 points in the same direction. Our Lord Himself confirms what the Old Testament foretold. “I came down from heaven, not to do mine own will, but the will of him that sent me” (John 6:38; cf. 4:34; 10:17-18). The pivotal events of redemptive accomplishment He performed in pursuance of the Father’s commandment and in the exercise of messianic authority. Paul’s witness is to the same effect as that of the Old Testament and of Jesus Himself. Most important is Philippians 2:7-8. For this text in respect of the capacity in which Jesus acted attaches itself to Isaiah 52:13-53:12 and represents the climactic event of Jesus’ commitment, the death of the Cross, as an act of obedience. And Romans 5:19 expresses that it is by the obedience of Christ that many are constituted righteous. This evidence shows that our thought respecting the nature of the atonement is not Biblically conditioned unless it is governed by the concept of the obedience of Christ in His capacity as the Servant fulfilling the Father’s commission. We must not view this obedience mechanically or quantitatively. It did not consist simply in the sum total of formal acts of obedience. Obedience springs from the dispositional complex of motive, intention, direction, and purpose. 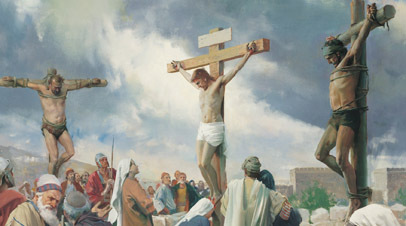 And since our Lord was truly human and fulfilled the Father’s will in human nature, we must appreciate the progression in knowledge, understanding, resolution, and will which was necessary to and came to expression in the discharge of the Father’s will in its increasing demands upon Him until these demands reached their climax in the death upon the Cross. This explains the word in Hebrews 5:8 that he learned “obedience from the things which he suffered.” At no point was He disobedient. But the demands of obedience were so expansive and progressively exacting that He had to learn in the furnace of trial, temptation, and suffering. Since His obedience thus attained to the perfection and completeness required for the discharge of His commitments to the fullest extent of their demands, He was made perfect as the captain of salvation (Hebrews 2:10) and “being made perfect, he became the author of eternal salvation unto all them that obey him” (Hebrews 5:9). This is but saying that it was by obedience that he accomplished the salvation of the many sons who are to be brought to glory, and we see how integral to salvation secured is the obedience of Christ. There is abundant evidence in the New Testament to show that Christ’s giving of Himself is to be construed in terms of sacrificial offering (1 Corinthians 5:7; Ephesians 5:2; Hebrews 7:27; 8:3; 9:14, 23, 25, 26, 28; 10:10, 12, 14, 26). 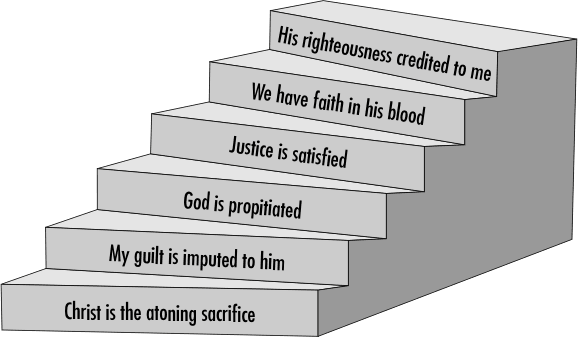 And it is not only these express statements which support the thesis but also references which can only be interpreted in terms of the altar of sacrifice (cf., e.g., Hebrews 13:10-13). The notion of sacrifice entertained by these New Testament writers is that derived from the Old Testament, for the allusions to the sacrificial ritual of the Levitical economy make it apparent that the latter provided the type in terms of which the sacrifice of Christ was to be interpreted. The Old Testament sacrifices were expiatory of guilt. This is particularly true of the sin-offerings, and these are specifically in view in some of the New Testament passages (cf. Hebrews 9:6-15, 23-24; 13:10-13). The idea of expiation is the removal of the liability accruing from sin. Sacrifice is the provision whereby this liability is removed—it is the substitutive endurance of penalty and transference of liability from the offerer to the sacrifice. The Old Testament sacrifices were truly typological of the sacrifice of Christ. Isaiah 53:10 expressly applies to the self-sacrifice of the Servant what was figuratively represented by the trespass-offering, and in New Testament passages, as indicated above, the Levitical offerings provide the analogy after which Christ’s sacrifice is to be understood. But of more significance is the fact that the sacrifice of Christ is the archetype after which they were patterned—they were patterns of the things in the heavens and only figures of the true (Hebrews 9:23-24). Christ’s offering is the heavenly exemplar. This is additional confirmation that what was signified in shadow by the ritual offerings, namely expiation, was transcendently and really true in the sacrifice of Christ. The shadow portrays the outline of the reality. It is, however, this truth, that the sacrifice of Christ is the heavenly reality, that insures the efficacy and finality and perfection of His sacrifice in contrast with the obvious shortcomings of the levitical offerings (cf. Hebrews 9:9-14, 24-28). “By one offering he hath perfected forever them that are sanctified” (Hebrews 10:14). It is the work of Christ, viewed in terms of sacrifice, which thrusts into the foreground the high priestly office of our Redeemer. It is the prerogative of the priest to offer sacrifice and only in the exercise of His prerogative as the great high priest of our profession did Jesus offer Himself. He was “called of God an high priest after the order of Melchizedek” (Hebrews 5:10). Here the uniqueness of Christ’s sacrifice is further demonstrated. He offered Himself, and the sacrifice He offered was Himself. He acted as both priest and offering (cf. Hebrews 7:27; 8:3; 9:14, 25; 10:5-9) and thus purged our sins. The transcendent perfection, efficacy, and finality of His sacrifice reside in the transcendent character of the offering and the dignity of His priesthood. The language of propitiation is clearly applied to the work of Christ in the New Testament (Romans 3:25; Hebrews 2:17; 1 John 2:2; 4:10). 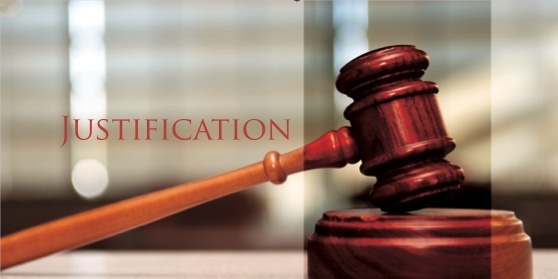 Plausible attempts have been made to interpret propitiation in terms of expiation and thus avoid the prima facie import of propitiation. The fallacy of these attempts has been successfully demonstrated by scholarly and painstaking study of the Biblical data (see bibliography). The reason for the attempt to relieve the work of Christ of its strictly propitiatory character is obvious. To propitiate means to pacify, to conciliate, to make propitious. It pre-supposes that the person propitiated is angry and needs to be pacified. If Christ propitiates, it must be God whom he propitiates. And surely, it is alleged, we cannot think of God as needing to be pacified or made propitious by the blood of Christ. 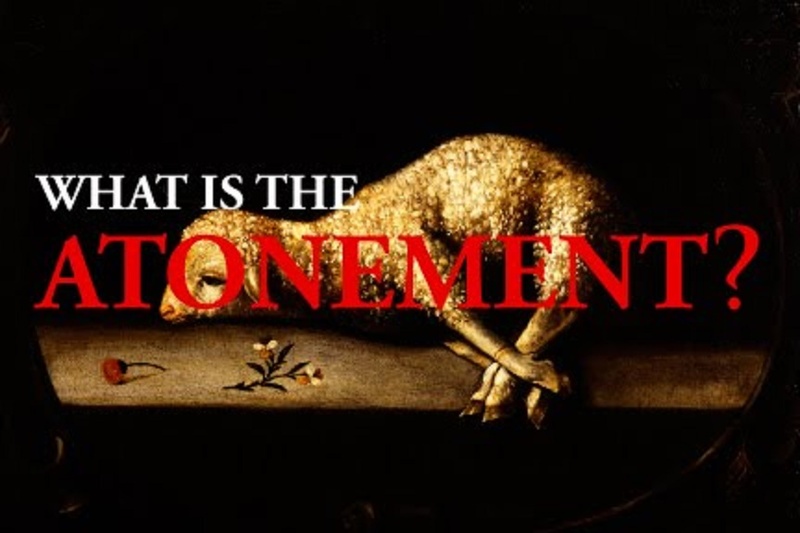 If the atonement springs from the love of the Father and is the provision of His love, as has been shown above, is it not contradiction to maintain that He is conciliated by that which is the expression of His love? If invincible love is antecedent, then no place remains for the pacifying of wrath! There is deplorable confusion in this line of reasoning. To love and to be propitious are not convertible terms. Even in the human sphere the unique object of love may at the same time be the unique object of holy wrath and displeasure. It is the denial of God’s holiness in relation to sin, as the contradiction of what He is and demands, not to recognize that sin must evoke His wrath. And just as sin belongs to persons, so the wrath rests upon the persons who are the agents of sin. Those whom God loved with invincible love were the children of wrath, as Paul expressly says (Ephesians 2:3). It is to this fact that the propitiation made by Christ is directed. Those whom God loved were the children of His wrath. It is this truth that enhances the marvel of His love, and if we deny it or tone it down we have eviscerated the greatness of His love. 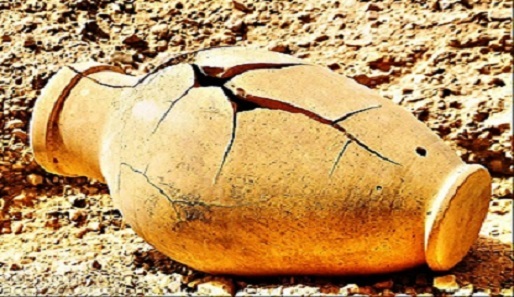 The doctrine of the propitiation is precisely this that God loved the objects of His wrath so much that He gave His own Son to the end that He by His blood should make provision for the removal of this wrath. It was Christ’s to deal with the wrath so that those loved would no longer be the objects of wrath, and love would achieve its aim of making the children of wrath the children of God’s good pleasure. It is a combined perspective that can dispense with the necessity and glory of propitiation. The disposition to deny or even underrate the doctrine of propitiation betrays a bias that is prejudicial to the atonement as such. 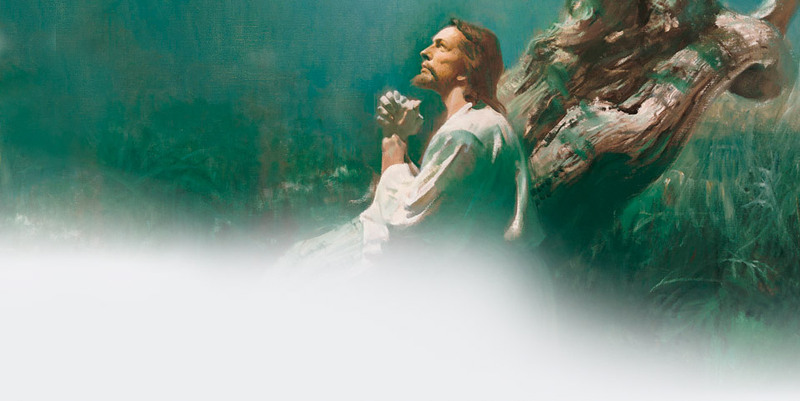 The atonement means that Christ bore our sins and in bearing sin bore its judgment (cf. Isaiah 53:5). Death itself is the judgment of God upon sin (cf. Romans 5:12; 6:23). And Christ died for no other reason than that death is the wages of sin. But the epitome of the judgment of God upon sin is His wrath. If Jesus in our place met the whole judgment of God upon our sin, He must have endured that which constitutes the essence of this judgment. How superficial is the notion that the vicarious endurance of wrath is incompatible with the immutable love of the Father to Him! Of course, the Father loved the Son with unchangeable and infinite love. And the discharge of the Father’s will in the extremities of Gethsemane’s agony and the abandonment of Calvary elicited the supreme delight of the Father (cf. John 10:17). But love and wrath are not contradictory; love and hatred are. It is only because Jesus was the Son, loved immutably as such and loved increasingly in His messianic capacity as He progressively fulfilled the demands of the Father’s commission, that He could bear the full stroke of judicial wrath. This is inscribed on the most mysterious utterance that ever ascended from earth to heaven, “My God, my God, why hast thou forsaken me?” (Psalms 22:1; Mathew 27:46; Mark 15:34). God, in our nature, forsaken of God! Here is the wonder of the Father’s love and of the Son’s love, too. Eternity will not scale its heights or fathom its depths. How pitiable is the shortsightedness that blinds us to its grandeur and that fails to see the necessity and glory of the propitiation. “Herein is love,” John wrote, “not that we loved God, but that he loved us, and sent his Son…[a] propitiation for our sins” (1 John 4:10). Christ is truly the propitiation for our sins because He propitiated the wrath which was our damnation. The language of propitiation may not be diluted; it bespeaks the essence of Calvary. Just as sacrifice has in view the exigency created by our guilt and propitiation, the exigency arising from the wrath of God, so reconciliation is concerned with our alienation from God and the need of having that alienation removed. In the Scripture the actual terms used with reference to the reconciliation wrought by Christ are to the effect that we are reconciled to God (Romans 5:10) and that God reconciles us to Himself (2 Corinthians 5:18-19; Ephesians 2:16; Colossians 1:20-22). Never is it expressly stated that God is reconciled to us. It has often been stated, therefore, that the Cross of Christ, insofar as it contemplated reconciliation, did not terminate upon God to the removal of His alienation from us but simply and solely upon us to the removal of our alienation from Him. In other words, it is not that which God has against us that is dealt with in the reconciliation but only our enmity against Him. It is strange that this contention should be so persistent that scholars should be content with what is, to say the least, so superficial an interpretation of the usage of Scripture in reference to the term in question. It is not to be denied that the reconciliation is concerned with our enmity against God. Reconciliation, like all the other categories deals with sin and the liability proceeding from it. And sin is enmity against God. But, when the teaching of Scripture is properly analyzed, it will be seen that reconciliation involves much more than that which might appear at first sight to be the case. When in Matthew 5:24 we read, “Be reconciled to thy brother,” we have an example of the use of the word “reconcile” that should caution us against a common inference. In this instance the person bringing his gift to the altar is reminded that his brother has something against him. It is this grievance on the part of the other that is the reason for interrupting his act of worship. It is the grievance and, in that sense, the “against” of the other that the worshipper must take into account, and it is the removal of that grievance, of that alienation, of that against, that the reconciliation which he is required to effect contemplates. He is to do all that is necessary to remove the alienation in the mind and attitude of the other. It is plain, therefore, that the situation requiring reconciliation is the frame of mind or the attitude of the other and what the reconciliation must effect is the change of mind on the part of the other, namely, the person called the brother. Thus we are pointed in a very different direction from that which we might have expected from the mere formula, “be reconciled.” And although it is the “against” of the brother that is in view as requiring a change, the exhortation is in terms of “be reconciled to thy brother” and not at all “Let thy brother be reconciled to thee.” By this analysis it can easily be seen that the formula “reconciled to God” can well mean that what the reconciliation has in view is God’s alienation from us and the removal of that alienation. Matthew 5:23-24 shows how indefensible is an interpretation that rests its case upon what, at best, is mere appearance. Another example points in the same direction. It is Romans 11:15. “For if the casting away of them be the reconciling of the world, what shall the receiving of them be, but life from the dead?” The “casting away” is that of Israel and the “reconciling” (reconciliation) is that of the Gentile nations. The “casting away” is contrasted with the “reconciliation” and the meaning of the latter is to be discovered from this contrast. The “casting away” is also contrasted with the “receiving,” that is, the receiving of them back again. The “casting away” can be nothing other than the rejection of them from the divine favor and blessing they once enjoyed and the “receiving” is the restoration of them again to the divine favor and blessing from which for a time they had been excluded. It is apparent that in both words the thought is focused upon the relation of Israel to God’s favor and saving blessing. Reconciliation, being in contrast with casting away, must, therefore, mean the reception of the Gentiles into the favor of God and the blessing of the Gospel; it is the relation to God’s favor that is expressed. Hence it is upon the change in the disposition of God and the change in the resulting relationship of God to the Gentiles that thought is focused in the word “reconciliation.” This demonstrates that the term can be used with reference to a change that takes place in God’s mind and relation with reference to men. He commends His own love towards us. We must not think, however, that the action of the Father ended with the appointment and commission of the Son. He was not a mere spectator of Gethsemane and Calvary. 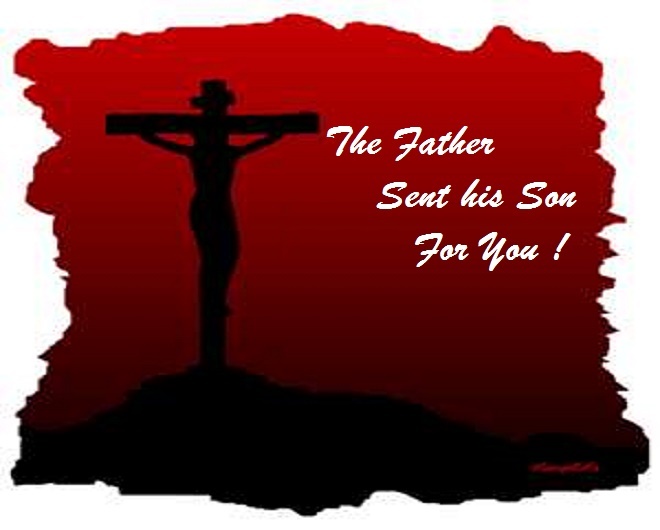 The Father laid upon His own Son the iniquities of us all. He spared not His own Son but delivered Him up. He made Him to be sin for us. It was the Father who gave Him the cup of damnation to drink. God was in Christ reconciling the world to Himself. Here is love supremely demonstrated. No stronger expression appears in Scripture than this that God made Christ to be sin for us. We fall far short of a proper assessment of Christ’s humiliation if we fail to appreciate this fact. It was not simply the penalty of sin that Jesus bore. 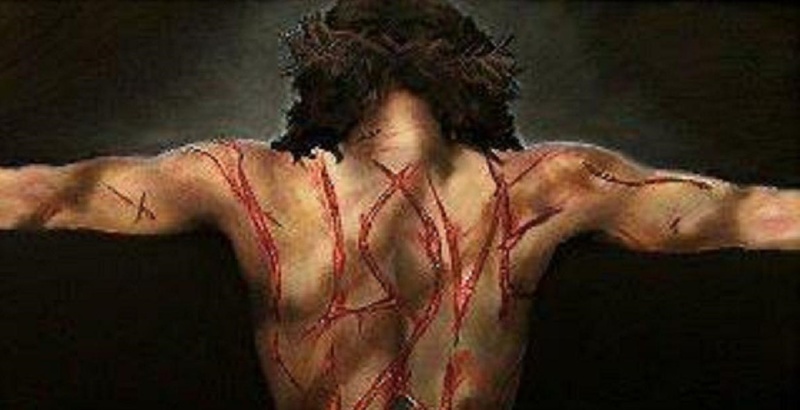 He bore our sins. He was not made sinful, but He was made sin and, therefore, brought into the closest identification with our sins that it was possible for Him to come without thereby becoming Himself sinful. Any exposition of ours can only touch the fringe of this mystery. The liability with which the Lord of glory had to deal was not merely the penalty of sin but sin itself. And sin is the contradiction of God. What Jesus bore was the contradiction of what He was as both God and man. The recoil of Gethsemane (Mathew 26:39) was the inevitable recoil of His holy soul from the abyss of woe which sin-bearing involved. And His “nevertheless not as I will, but as thou wilt” bespeaks the intensity of His commitment to the extremities of Calvary, the bitter dregs of the cup given Him to drink. Here is love unspeakable; He poured out His soul unto death. Psalms 22 and 69 are the prophetic delineature of His agony, the Gospel story is the inspired record of fulfillment, the apostolic witness the interpretation of its meaning. We cannot but seek to apprehend more and more of the mystery. The saints will be eternally occupied with it. But eternity will not fathom its depths nor exhaust its praise. …we must do so by putting him in the way of convincing himself. To beat him down by unreasoning opposition or even by irresistible argument may please us, but is not likely to gain him. There is a great chasm between achieving a victory and making a conquest, and the completeness of the first often prevents the last. To respect a man’s freedom, never to press him so hard as to humiliate him, to give him the clue that may help him to guide himself to the right, is according to the divine model, and would aid us in serving, at the same time, both our fellow-men and the truth. How much this is needed in the Christian Church every one can perceive who looks around. Again, it is often painful to see minds that, from their strength of character, are fitted to influence all around them for good, losing the power through the over-assertion of self. Authority must exist, but influence may have its opportunity to do its work; and when authority makes itself felt at every turn and pushes itself into every little act, freedom is gone and influence vanishes with it. Firm law on certain great essentials, but freedom within this to grow up according to taste and temperament. If those with strong natures, and with deep convictions, could only be made to see this, and could learn to control themselves, their end would be sooner gained. Power of character and steadfast example have an assimilating influence which seldom fails. It should be considered further, that if we wish those we are influencing to become valuable for anything, it must be by permitting them to be themselves. They will do very little if they turn out dead transcripts of us. If any man is to have power either in the world or the Church, he must have independent life, and for independent life liberty is indispensable. We can never sanction liberty in the way of sin, but there are a thousand little daily acts, where it will demand to be left to itself, and where we should take pleasure in recognizing it. Those are the very signs and safeguards of the personality which God has bestowed upon His creatures, and it is only by seeking to enter it, as He does, freely and kindly, respecting it and conforming to it, that we can guide it to a right end and make it a real power for good.